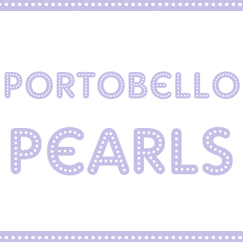 Click and Make-Up Beauty Blog: Accessorize Make Up - Hard Candy in Disguise? I found it really hard to come across Accessorize make up products in store and was hesitant to buy online, but I found two Superdrugs near me which stock the line (Shepherd's Bush and Marble Arch). I notice that the online prices are slightly cheaper, however even the high street price isn't bad for the quality and beauty of these products, and I'm waiting for them to hike the prices any day now! I picked up three blushes, one bronzer and an eyeshadow. 'Captivating' lipgloss is one of the most exciting lip products I've come across in, well, years! I'm not a lip person at all as mine aren't my best feature, so they tend to go bare most of the day. 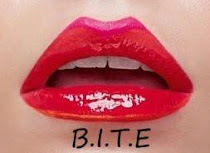 This lipgloss changed everything! The only drawback it has for me is the intense glitter, which is a bit OTT for work, but other than that I love the packaging - no gamminess in the lid, the applicator, the consistency, the flavour (sweet vanilla). It's non sticky and long lasting (for a lipgloss) - about 2 hours with no eating/drinking. The flash really picked up on the glitter, but in normal light it's not that bling. At £4 I'll definitely be picking up some more. Through the wrapping this Baked Bronzer in 'Monaco' reminded me of MAC's Light Flush MSF, but it's actually a little darker and not so pink undertoned. However it's a great bronzer for pale skin, I like it for contouring or use it lightly all over for a healthy glow. I noticed that some Accessorize make up is very similar to Hard Candy products and the lighter pan below looks like Accessorize's 'Golden Sand' baked bronzer which is really more of a highlight and reminds me of Prestige's Pure Shimmer Skin Loving Minerals. It's £7 in store or £6 online. The first of the £5 merged blushes I picked up was 'Starlet'. The real colour is actually closer to the Hard Candy blush , it's bubblegum pink with yellow gold veining. Nicely pigmented and blendable. This baked duo eyeshadow was actually the product which makes me think that Hard Candy and Accessorize get their cosmetics from the same supplier. They look very similar and are both called 'High Maintenance'. The container, if not the branding, are very similar also. I love the pale creamy shade, but the brown side could be slightly more pigmented. I actually had to return the first one to the shop as the two colours had split apart even before I removed the plastic wrapping. It was a bit of a mission to get Superdrug to exchange it for me even though it was unopened, so just bear in mind that these are quite delicate. It's £4. This merged blusher in Pretty Pink to me is not actually a blusher or pink. On my skin it shows up as a shimmery peachy pink pale gold. I prefer to use it as a cheekbone highlight. 'Diva' is a very vivid dark pink blush which is darker than I'd normally go for, but I wanted to complete the blusher set! I've learned to work with it and you can actually get a light, healthy flush effect with it. When I first heard that Accessorize were launching a make up collection I thought PAH! It'll be crap. I'm so happy I was proved wrong. I like the quality, packaging, colour range and price. My collection won't be stop here! Next up I want 'Golden Sands'. What else should I try? That is a really interesting observation on the High Maintenance duo, wow! I want to do more comparisons now. I would say that the Pretty Pink blusher and Hard Candy's Living Doll are quite similar, but I'd need to swatch them side by side. I can't tell the difference on my cheeks, honestly. The lipgloss looks amazing on you! 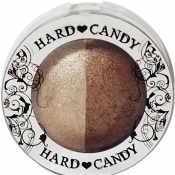 @Cydonian - I've been wanting to get my hands on some hard candy stuff but didn't know where I could get it in the UK, so I'll be interested to see if you see any more comparisons! It could be they're from the same factory as I hardly think Accessorize has set up its own production. @Angel - it's the one I wore on NYE. Love it! We don't have Accessorize in the US but, whenever I see other's blog posts about it I always thought it looked similar to Hard Candy! I always thought the same! I have an Accessorize blush and I love it! They are such good value for the money. oh my! those are like identical to hard candy products!! that is so crazy lol thanks so much for sharing! i have 3 products from hard candy, their living doll blush, honeymoon blush and high maintenance duo and as you pointed out, these look pretty darn similar! i think the accessorize pretty pink blush definitely looks like hard candy's honeymoon! :D haha thanks for sharing! ahh i have no idea why i don't have anything from this range yet! it seems so good, i must buy! packaging look so beautiful! and colors are so nice! I absoloutely adore Accessorize' makeup range! the blushers are really good and not expensive at all! I'm really into the 'baked' blushers & eyeshadows at the moment so these are great! Ver interesting review, thank you! I have Golden Sand Bronzer/Higlhlight and Starlet blusher, I definitely am going to get more. I think they are gorgeous!